This is the second portion of my 5-15-94 letter to Stephen Jay Gould and last week I posted the first portion and next week I will post the third portion. Norman D. Newell – “Finally I should like to define the word science, and explain why scientific creationism cannot be included in its definition. Science is characterized by the willingness of an investigator to follow evidence wherever it leads.”Robert C. Cowen – It is this many-faceted on-going science story that should be told in public school biology courses. Creationists want those courses to include the possibility of – and the “scientific” evidence for – a creator as well. There is no such “scientific” evidence. The concept of a supernatural creator is inherently religious. It has no place in a science class. Douglas Futuyma – “Whether people are explicitly religious or not they tend to imagine that humans are in some sense the center of the universe. And what evolution does is to remove humans from the center of the universe. We are just one product of a very long historical process that has given rise to an enormous amount of organisms, and we are just one of them. So in one sense there is nothing special about us.”William B. Provine in “The End of Ethics?” article in HARD CHOICES (a magazine companion to the television series HARD CHOICES) wrote:Even though it is often asserted that science is fully compatible with our Judeo-Christian tradition, in fact it is not… To be sure, even in antiquity, the mechanistic view of life–that chance was responsible for the shape of the world– had a few adherents. But belief in overarching order was dominant; it can be seen as easily in such scientists as Newton, Harvey, and Einstein as in the theologians Augustine, Luther, and Tillich. But beginning with Darwin, biology has undermined that tradition. Darwin in effect asserted that all living organisms had been created by a combination of chance and necessity–natural selection.In the twentieth century, this view of life has been reinforced by a whole series of discoveries…Mind is the only remaining frontier, but it would be shortsighted to doubt that it can, one day, be duplicated in the form of thinking robots or analyzed in terms of the chemistry and electricity of the brain. The extreme mechanic view of life, which every new discovery in biology tends to confirm, has certain implications. First, God has no role in the physical world…Second, except for the laws of probability and cause and effect, there is no organizing principle in the world, and no purpose. 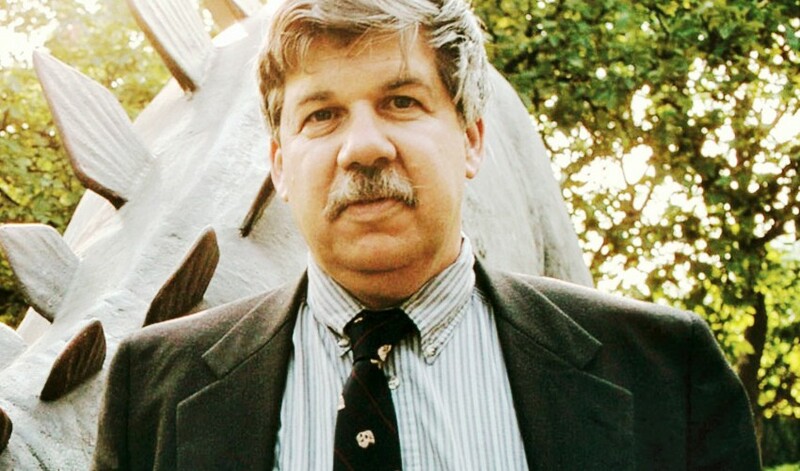 Profesor Stephen Jay Gould, who has died of cancer aged 60, was an unlikely figure to have been canonised in his lifetime by the US Congress, which named him as one of America’s “living legends”. A palaeontologist, he was based for most of his life at the museum of comparative zoology (MCZ) at Harvard, where, since 1982, he had been Alexander Agassiz professor of zoology. But he was best known to the public through his unbroken sequence of 300 monthly essays in Natural History magazine, which began in 1974 and ended only last year; they were republished in a seemingly unending stream of books, translated into dozens of languages and bought by their hundreds of thousands. A stylish writer, Gould characterised each essay by deriving a seemingly abstruse point in natural history or palaeontology via a sideways look at a novel, a building, or, often, a reference to his lifelong enthusiasm for baseball. He once illuminated the peculiar evolutionary phenomenon in which more recently evolved species within a family group steadily decrease in size by comparing it to how the manufacturers of Hershey bars avoided price rises by making the bars smaller while keeping the costs the same. 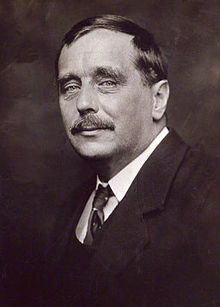 As a scientific essayist, Gould’s only peers were “Darwin’s bulldog”, Thomas Huxley, in the 19th century and JBS Haldane in the 1930s and 40s. The comparison with Haldane is apt in two further ways; both made fundamental contributions to evolutionary theory, and both were politically engaged both within science and in the broader political arena. Gould’s critique of the pseudoscience of claims concerning the inheritance of intelligence, developed in one of his best-known books, The Mismeasure Of Man (1981), became a major source for anti-racist campaigners. But Gould was no mere word-spinner; as a major public intellectual and powerful public speaker, he could be seen at demonstrations and on picket lines, especially during the 1960s and 70s. This was the birth of what became known as the radical science movement (Science for the People), initially in response to the Vietnam war. The movement, and Gould along with it, later became embroiled in the cultural fights that raged around the publication, in 1975, of EO Wilson’s Sociobiology, the forerunner to today’s evolutionary psychology, and seen by many as offering a scientific validation for social inequalities in class, gender and race. Some saw this as a specifically Harvard-based battle, as Gould occupied the MCZ basement and his colleague, and sometimes co-author, Richard Lewontin, the first floor – with Wilson sandwiched between them on the ground floor. Wilson became distinctly uneasy when entering the elevator in case he might have to confront Gould, Lewontin or any of their student supporters. However, for Gould the issues were never just about politics, but also about a different view of the mechanisms and processes of evolution, a view that reached its clearest expression in his last and greatest book, The Structure Of Evolutionary Theory – at more than 1,400 pages, the greatest in every sense – which was published only last month. This is the most comprehensive statement of Gould’s Darwinian revisionism, a revisionism that began in graduate school when he and fellow student Niles Eldredge developed their critique of one of Darwin’s central theses, that of gradual evolutionary change. To the concern of his many friends and supporters, who had argued that speciation was likely to occur by abrupt transitions, Darwin had insisted that “nature does not make leaps”. Gould and Eldredge re-addressed this question, pointing out that the fossil record was one of millions of years of stasis, punctuated by relatively brief periods of rapid change – hence punctuated equilibrium. To Gould’s fury, as a loyal child of Darwin, the theory was misappropriated by creationists, whom he attacked with characteristic vigour. 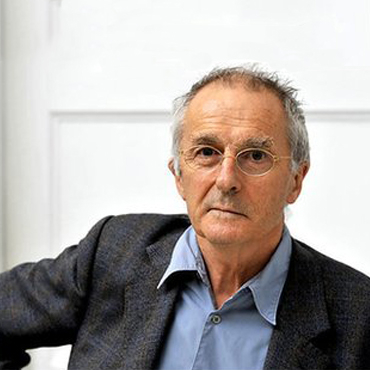 However, in one of his most recent books, Rocks Of Ages (1999), he attempted to come to terms with a religion more reconciled to science, reversing the proposition of rendering unto Caesar by allowing religion its independent domain. But punctuated equilibrium made many traditional evolutionists unhappy too; they saw it as evidence of Gould’s alleged Marxism – revolution rather than evolution. Orthodox biologists also tended to resent the insouciance with which Gould upstaged them. Lecturing at the Royal Society, in London in the 1970s, he treated the assembled grandees to an account of the architecture of the San Marco cathedral, in Venice, in order to make the point that many seemingly adaptive features of an organism are, in fact, the byproducts of more fundamental structural constraints. The mosaic-filled spaces (spandrels) between the arches on which the dome stands may look as if they were planned, but they are merely space-fillers, albeit ones put to artistic and religious use. Many features of an organism (its phenotype) may also be structural spandrels, others may be “exaptations” – another term coined by Gould, with Elizabeth Vrba, to describe features arising in one context but subsequently put to a different use. Feathers, originally evolved as a heat regulatory device among the reptilian ancestors of today’s birds, are a good example. But to evolutionists, who believed every feature of an organism was honed by what Darwin called “nature’s continuous scrutiny”, this claim, and the style in which it was delivered, was heretical. The intellectual’s development from radical young Turk to mature senior academic is traditionally that from iconoclasm to conventional wisdom. Not so Steve Gould. The Structure Of Evolutionary Theory is a robust and formidable defence of his key contributions to Darwinian revisionism. Evolution is not a la carte, but structurally constrained; not all phenotypic features are adaptive, but may instead be spandrels or exaptations – or even contingent accidents, like the asteroid collision believed to have wiped out the dinosaurs, thus making space for mammals and ultimately humans. Wind the tape of history back, Gould insists, allow it to free-run forward again, and it is, in the highest degree, unlikely that the same species will evolve. Chance is crucial, and there is nothing inherently progressive about evolution – no drive to perfection, complexity or intelligent life. Above all, he argues, natural selection works at many levels. Because genetics has come to dominate much of the life sciences, for many biologists organisms have become almost irrelevant, save as instruments serving the purposes of their genes – splendidly encapsulated in Richard Dawkins’ famous description of humans as “lumbering robots” – the gene’s way of making copies of itself. Evolution itself has come to be defined as a change in gene frequency in a population. By contrast, Gould argues for a hierarchical view; that evolution works on genes, genomes, cell lineages and, especially, on species. Ignoring speciation, he says, is like playing Hamlet without the prince. This is the central theoretical issue underlying all the polemics that characterise what have come to be known as the “Darwin wars”, pitting Gould against Dawkins as his principal adversary, although in reality – and to the chagrin of creationists – both are children of Darwin, and agree on far more than they disagree. Cutting-edge researchers are often ignorant of their own science’s history. Perhaps it was because he was a palaeontologist that Gould returned so often in his writing to the history of his own subject. His was not the sort of whiggish, anecdotal approach by which senior scientists tend to ossify the progression from past obscurity to present clarity, but a deeper attempt to understand the twists and turns of theory and evidence, which ensure that even our present-day knowledge is provisional, and like life itself, historically constrained. Born in Queens, New York, and educated through the city’s superb public school system, Gould trained as a geologist at Antioch College, Ohio, took a doctorate in palaeontology at Columbia University, New York, in 1967, and spent a brief period at Leeds University before moving to Harvard. In 1982, he was diagnosed with mesothelioma, rumoured to have been precipitated by the asbestos lining of the specimen cabinets in the MCZ basement. The disease has a median survival time of eight months; as Gould later wrote, he was committed to being one of those who survived long enough to help show that statistic medians are not means, after all. The 20 years before cancer finally caught up with him were packed with more than most public intellectuals and scientists can hope to achieve in a lifetime, and a small galaxy of prizes. He was married twice, and is survived by his former wife Deborah, their sons Jesse and Ethan, his second wife Rhonda, and his stepchildren, Jade and London. Steve Jones writes: The world of snail genetics has lost its leading light. Not, perhaps, how most obituarists will celebrate him, but true nevertheless. Gould was, like Darwin, a working scientist; an accumulator of facts, in his case about the snails, live or fossilised, of the Bahamas. However, and again like Darwin, he became most celebrated not for his own research, but for his interpretation of the facts gathered by others. Evolutionists have the bitter feeling that theirs is the only science left in which it is possible to become famous just for having an opinion. Their field (or at least the public’s image of it) is filled with people with strongly-held views who have never done an honest day’s work in their lives, whether in a rainforest or a laboratory. Gould was not like that. He may not have spent five years on the Beagle, but he passed many uncomfortable summers kicking through bushes or scraping away at lumps of rock. Whatever its merits, his famous theory of punctuated equilibrium – evolution by jerks, as its critics called it; Gould responded with taunts about evolution by creeps – gave the then slothful post-Darwinian giant a kick, just when and where it needed it. Biology was forced to remind itself that many evolutionary questions had been forgotten, and entered an era of intense debate. In the view of most (but not all) in the field, the answer was refreshingly conventional: Darwin was, in the end, right, and the problems raised by Gould could be solved without toppling the great Victorian from his ped- estal. Gould, needless to say, did not agree. Scientifically, he was – in the eyes of us “creeps” at least – a failure, but a heroic one, in the sense that Columbus failed to find India. In science, failures can be heroes, too – think of Newton after relativity; and to the public, Gould was the hero. He fought the creationists, joked about baseball, and wrote some of the finest of all science essays. Although sometimes visited by the curse of orotundity, he kept it up to the end. The last time I met him, we talked snails, and now that the chance to do so again has gone, it is time to summarise his life. To most people, he was punctuationist, populariser or polemicist; to biologists, he earned that most rare and coveted title, that of his great predecessor, Darwin: naturalist. 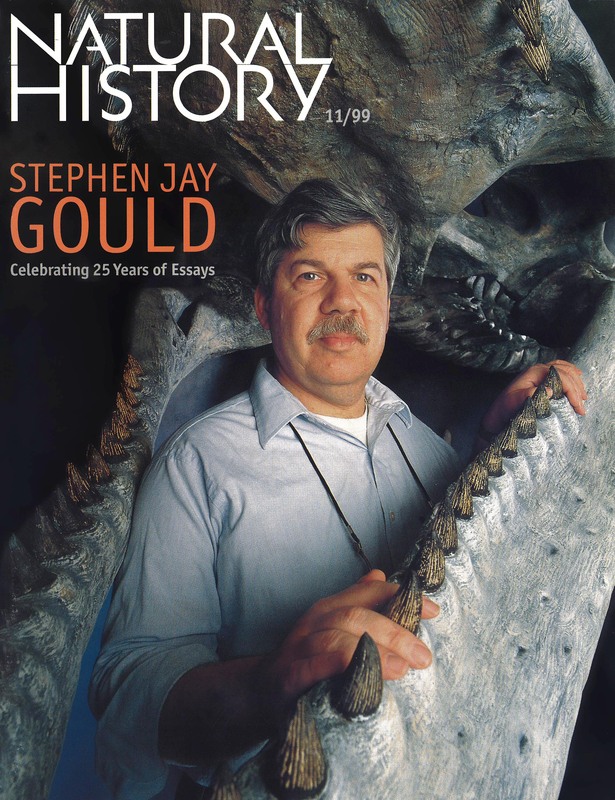 Stephen Jay Gould is the scholar I will look at today. In the third video below in the 147th clip in this series are his words “If I were a bacteria I would be quite satisfied that I was dominating the planet…I don’t know why consciousness should be seen as any state of higher being especially if you use the evolutionist primary criterion of success measured by duration” and I have responded directly to this quote in any earlier post.